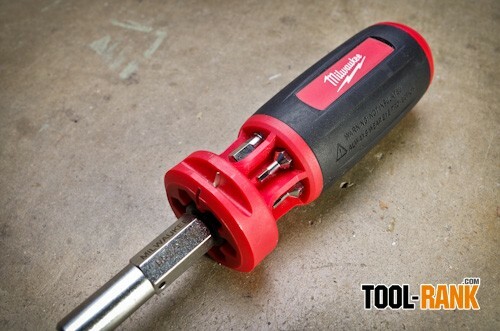 When you think of Milwaukee you don't really think of hand tools, but Milwaukee has been on a push over the last couple of years to change all that. 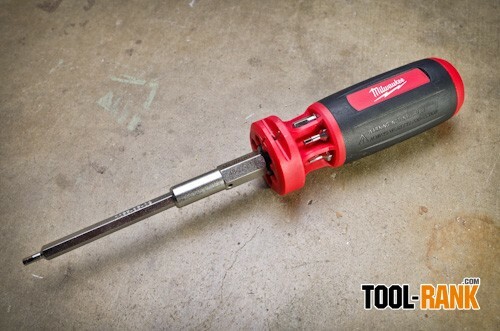 This year Milwaukee has introduced a number of new hand tools, including the screwdrivers we will be reviewing today. In the review I will be going over their General Purpose Screwdriver Set as well has their 10in1 Ratcheting and 10in1 Non-ratcheting drivers. While weight is often one of the markers of a quality made tool, I feel the opposite is true with Milwaukee's screwdrivers. 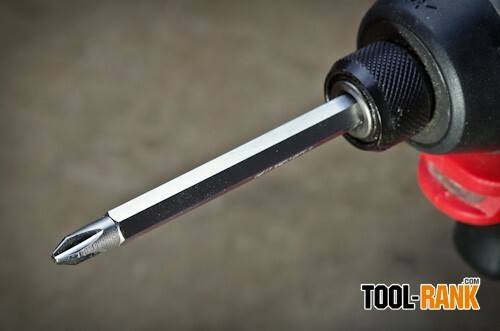 This might be a personal preference, but to me, the tool's lightness in the handle makes the screwdriver much more comfortable to use. More importantly, the driver doesn't feel cheap in any way. The tips seat nicely into screw heads, which makes driving screws that much easier by hand, and nobody wants to use a screwdriver that slips. 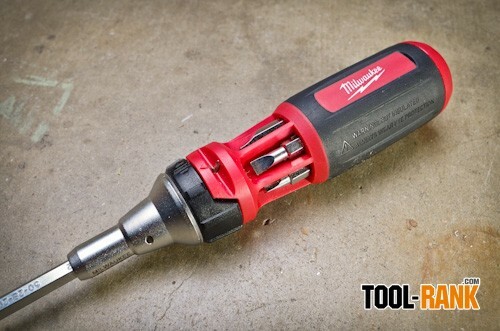 The Milwaukee Demolition Screwdrivers are slightly heavier because of their heat treated steel caps, and lived up to their name by handling chiseling into wood and even some concrete pavers. The pavers did take a couple tiny nicks out of the tip, but they fared far better than I would have expected. Often times we use the tool we have on hand rather than the correct tool for the job. 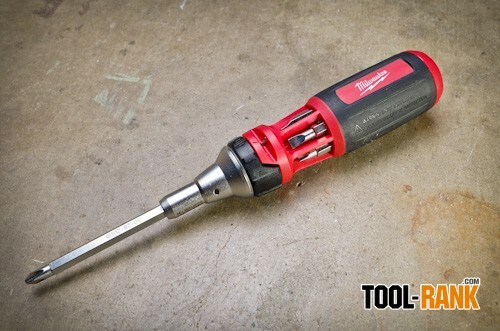 Without question a screwdriver will be used in numerous ways outside of what is intended. Because of this, I am thankful that Milwaukee built these drivers with hardened tips and forged shanks. 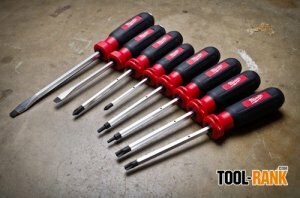 If you don't mind the weight and would rather have quick access to 10 different bits at one time, the Milwaukee 10in1 Driver might be for you. Milwaukee offers the 10in1 with a number of different bit configuration depending on your needs, and also offers HEX and Torx versions. 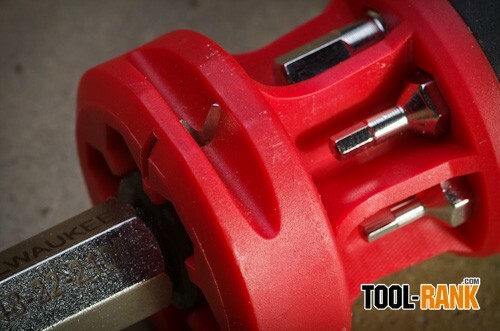 All bit options are otherwise identical and use the handle of the tool to house the extra driver bits. The version I got for review was the HEX Key Metric Driver, which comes with 1.5mm, 2mm, 2.5mm, 3mm, 4mm, 5mm and 6mm bits. If you can count you will notice that that is 7 bits—the other 3 tools are a wire stripper, wire loop maker, and a ¼-inch nut driver. Changing out the bits on the 10in1 is really pretty simple. All you do is take the bit that is currently being used, and use it to push the bit you need out of the in-handle housing. In this process you simultaneously store the previous bit while freeing the new bit. This design also makes it less likely that you will lose a bit because the bits are rarely ever off of the driver. One thing that Milwaukee changed with their 10in1 was the type of bits used. Unlike a $4 multi-bit driver, Milwaukee chose to use high quality chrome plated bits that are stronger and provide rust protection. 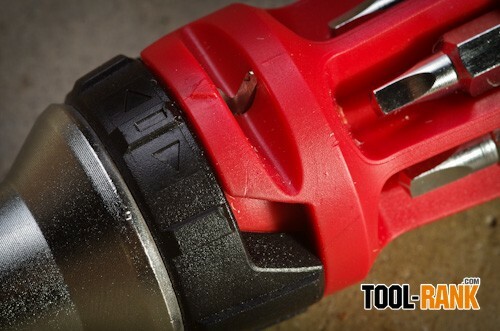 Not only that, but these longer bits can be removed from the driver and used on your cordless drivers with a ¼-inch quick connect. Unfortunately Milwaukee's introduction into screwdrivers is not a complete success. While I am happy with the designs of their regular screwdrivers, demo screwdrivers, and 10in1 Driver, their Ratcheting 10in1 driver is not up in the same league. It shares many similarities with their other drivers, but a couple of flaws make the tool hard enough to use, that I would rather not use it. The point of a 10in1 is easy access to all your bits, but access to the bits in the Ratcheting version is not easy at all. They cannot be pushed through the same way as the regular 10in1 and instead have to be loaded and unloaded from the bottom. This means you will always have two bits to deal with, but that's not the main problem--getting the bits out of the handle is the real issue. There is just not enough room to get a finger in there to push the bits out easily and pushing on the tip of a #1 Phillips is not exactly pain-free. The other problem with the Ratcheting 10in1 is the retching mechanism itself. I am not saying this is fact, but Milwaukee might have been focusing on making the most durable ratcheting driver on the market, yet in doing so, sacrificed on the smoothness of the ratcheting mechanism. The torque to overcome the ratcheting mechanism is so great, that trying to ratchet in loose fasteners is almost impossible; the screw needs resistance for it to work. I really like the feel of the Ratcheting 10in1 and find it to be one of the easiest to flip directions, but I cannot recommend it because of its other issues. 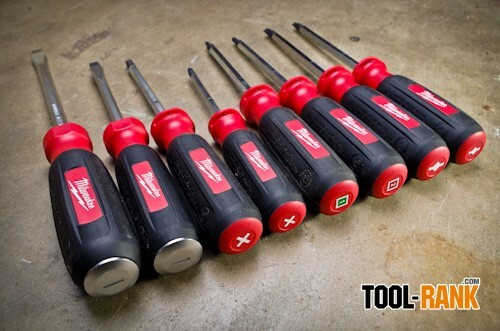 All of Milwaukee Tool's Screwdrivers—or at least the ones I reviewed—have a couple extra built in features that might have you choosing them over the competition. 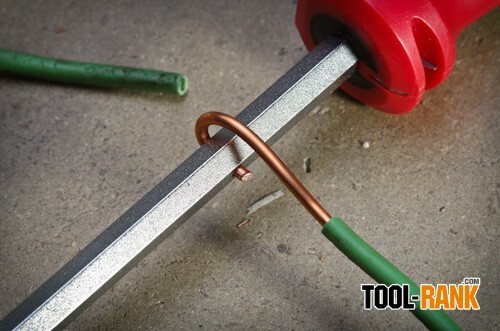 Each comes with two tools that could come in handy when working with electrical wiring. The first is a simple built-in wire stripper that is capable of stripping wire sizes up to 12-gauge, and the second is a wire looper. 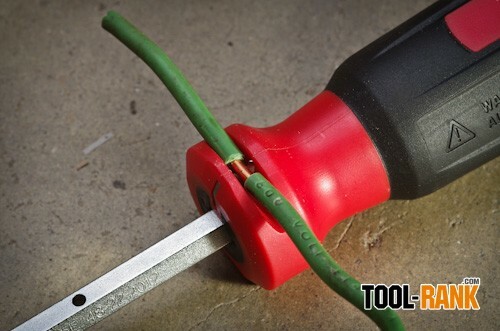 As a carpenter neither feature is a must-have for me, but I did find myself using the wire stripper while I was under the house trying to ground a coax cable. 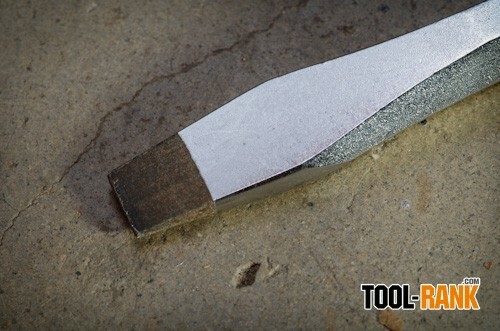 It is super easy to use and it doesn't really add bulk to the tool, so for me it is a bonus when it is needed. Despite the issues I have with the Ratcheting 10in1 Driver, I would say that Milwaukee's introduction into screwdrivers was an overall success. I really like their General Purpose screwdrivers, the Demolition Screwdrivers and the Regular 10in1 Driver and would recommend them to friends and co-workers. 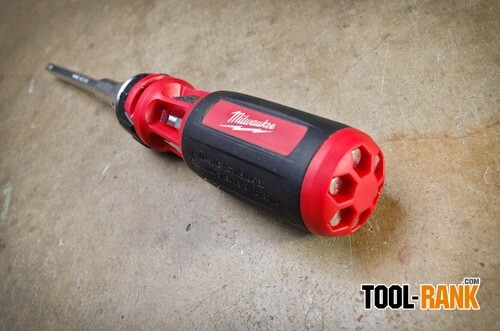 Milwaukee Tool provided all the drivers in this article for review without any preconditions.